Flexitraxx is available in six standard sizes, from 51mm to 150mm. 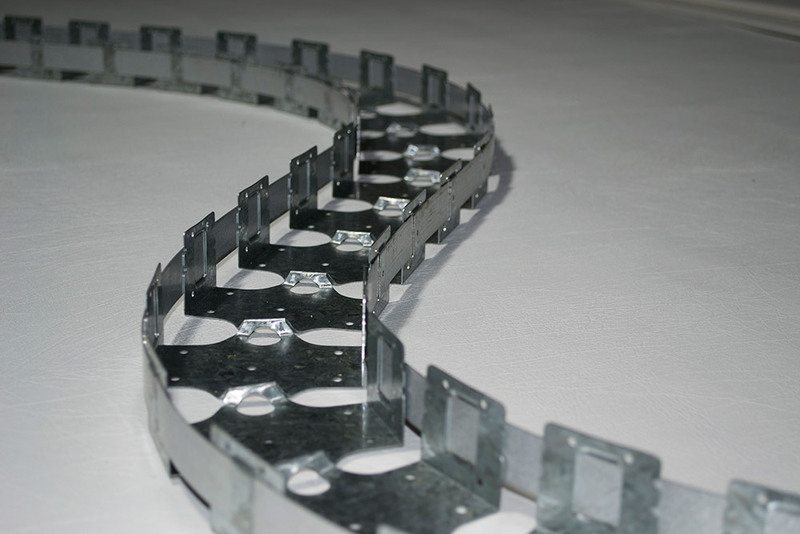 The Flexitraxx System is Manufactured from Galvabond steel in standard 2.4 metre lengths and is perfect for creating curved walls and much more. Flexitraxx is quick and easy to use – saving you time and money on all jobs. The construction is very strong, accurate and cost effective. 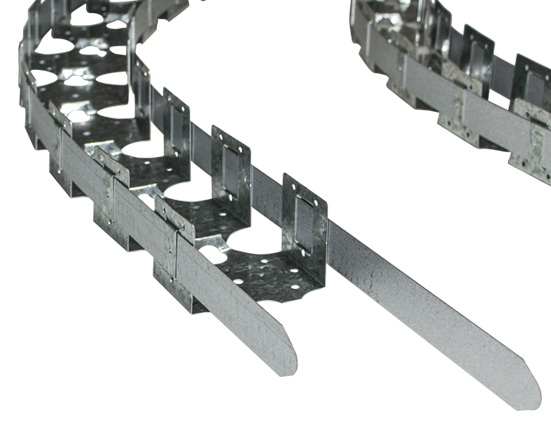 Side Flange lacing straps are G550 Grade = 0.55mm Gauge Zincalume. Packs of 50 piece lengths – preferred minimum order.